Who Is Liable For Lyft And Uber Accidents In Pasadena? In southern California, anyone who is injured by a distracted, intoxicated, careless, or otherwise negligent motorist in a vehicle accident must obtain – at once – the advice and representation that an experienced Pasadena car accident attorney can provide. Few of the many personal injury claims triggered by traffic accidents in California actually become personal injury courtroom trials. In most cases, your injury lawyer will help you submit a claim with the other driver’s insurance company, and the company will reimburse your losses. That’s in a typical case, but not every case is typical. A personal injury case gets complicated when a truck, taxi, or any other commercial vehicle is involved. What should you do, for example, if you’re a passenger with Lyft or Uber, a crash occurs, and you’re seriously injured? More consumers are using these popular transportation options, so it’s good to know what kind of protection is offered to Lyft and Uber passengers, and it’s also good to know what happens if you’re injured – in another vehicle – in a collision with an Uber or Lyft vehicle. WHAT QUESTIONS ARISE AFTER ANY ACCIDENT INVOLVING LYFT OR UBER? 1. When the accident happened, was the driver classified as an independent contractor, as an employee, or was the driver not working and off-duty? 2. Which “level” or amount of coverage was in effect when the accident happened? HOW ARE LYFT AND UBER VEHICLES COVERED? 1. Lyft and Uber vehicles have $1 million of commercial liability coverage and $1 million of uninsured/underinsured motorist coverage when a passenger is in the vehicle or the driver is on the way to pick up the passenger. 3. If a driver isn’t working, his or her own auto insurance policy is in effect. WHEN DOES UBER OR LYFT HAVE LIABILITY FOR A COLLISION? When a pedestrian, another driver, another driver’s passenger, or anyone at all is injured because a Lyft driver or an Uber driver was negligent, the driver has legal liability for damages – at least partial liability. Lyft or Uber, however, may also be liable for a collision, either directly or “vicariously,” depending on the driver’s classification as an independent contractor or as an employee. If you find this confusing, you are not alone. Insurance rules and personal injury laws are quite confusing. What’s important to remember is that if you’ve sustained a personal injury or injuries in a vehicle collision, you’ll face two immediate priorities. 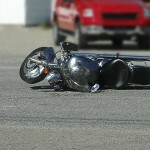 IF YOU’RE INJURED IN A TRAFFIC ACCIDENT, WHAT ARE YOUR PRIORITIES? Seek medical attention first. Even if you feel fine, have a medical examination within no more than a day after any traffic accident. If a latent or hard-to-find injury is detected, you’ll need a lawyer’s help, and you’ll have medical evidence to support your injury claim. Obtaining a good attorney’s help – immediately after you’ve been examined or treated by a medical professional – is your second top priority. In southern California, if you’ve been injured in a collision involving a rideshare vehicle, a qualified personal injury attorney will protect your rights, explain how the law applies in your own case, and work to acquire the compensation that is rightfully yours. WHAT IS DIRECT LIABILITY? WHAT IS VICARIOUS LIABILITY? When a rideshare operation does not screen drivers in the hiring process with comprehensive background checks, does not adequately train drivers, and fails to supervise drivers, the company may have direct liability for a collision. While the law in California makes employers liable “vicariously” for negligence by employees, employers do not usually have liability for an independent contractor’s negligence, even if someone is injured. Lyft and Uber insist that their drivers in this state should be classified as independent contractors rather than as employees. Nevertheless, in most cases, Uber or Lyft will compensate you for damages if you’re injured in a collision involving one of their vehicles. If an accident happens when an Uber or Lyft driver has a passenger or is en route to pick up a passenger, the passenger – and anyone in another vehicle who is injured – will be covered by the one million dollars of liability coverage. Fault will not matter in these cases. 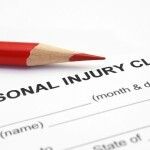 WHEN SHOULD YOU CONTACT A PERSONAL INJURY LAWYER? 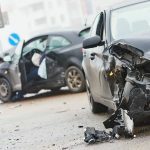 Nevertheless, if you sustain any injury more serious than some minor scratches and scrapes in a traffic collision involving Lyft or Uber – or any traffic crash in southern California – you must have an accident lawyer’s advice and guidance as quickly as possible. If you’re injured in an accident involving Uber or Lyft, you need to be advised and represented by a skilled personal injury lawyer, and you should refer any insurance company questions or inquiries to your attorney. 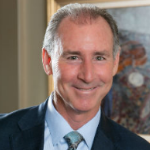 Most California accident attorneys regularly negotiate personal injury settlements, and they know what it takes to prevail in those negotiations on an injury victim’s behalf. WHAT SHOULD YOU SAY TO AN INSURANCE COMPANY? You are not required to provide any written or recorded statement to an insurance company. A company’s investigator or claims adjuster could twist your words and use them against you. Let your lawyer do the talking. In California, personal injury claims are usually resolved through out-of-court negotiations, so if you are the injury victim, you may not even be required to appear in court, and you can focus on recuperating from your injury. However, if there is no agreement regarding fault or liability, or if no acceptable compensation offer is made in private negotiations, your injury lawyer may suggest taking your case to a jury and asking those jurors for the compensation you deserve. Traffic collisions involving Uber and Lyft drivers and vehicles are complicated and confusing for a variety of reasons. Especially in cases that involve rideshare vehicles, an injured victim of negligence will need a skilled, talented, and experienced injury attorney’s advice and services. Learn more by scheduling a legal consultation. If you’ve been injured by negligence, a California accident attorney will review your case at no cost and with no obligation. If a negligent driver has injured you, schedule that consultation now. That is your right. Passengers Hurt In Truck Accidents While Working – Can A Lawyer Help?